Which Food Culture Are You From? What are your favourite foods and associated memories? Let’s say you enjoy eating and preparing Italian dishes. This is far different though to thinking and identifying as an Italian. If you are unsure as to the true nature of your food culture, then examine your behaviour when under pressure. Psychologists state that under stress we revert to the familiar. Out may go noble aspirations and in come the takeaways, packet biscuits, or microwaved frozen slab. If you want to add more stress to your day then aim to arrive home late and say, “What the heck am I going to cook for dinner?”. As psychologists observe, under stress we revert to the familiar. Out comes the cheese on toast or micro-waved pizza and out go any vague good intentions. Imagine if you could travel through time. Quantum physics tell us that ‘space-time’ is one stretchy, unified substance that makes this possibility completely achievable – as soon as we develop the required technology. Say you travelled back less than 200 years ago to the 1800s. This was a time when rapid industrialisation, new invention and the power of science enthralled with its possibilities. Perhaps you met with scientific leaders and tried to explain the modern world. You could tell them how most people have in their living rooms a box where – at the flick of a switch – small people emerge on screen and offer entertainment and world news. Many have another type of box in their study or workplace which – by moving their fingers over it – can instantly communicate with others through words, moving pictures and sound, accessing information live from anywhere in the world. For over 1,000 years the human body was viewed as animated by an invisible ‘vital force’. Then in the 1600s Isaac Newton declared in contrast, “The universe is a machine”. Another Renaissance figure, Renee Descartes, viewed with equal certainty that the mind and body were separate and spirit was the realm of the Church. This Cartesian Dualism is evident in medical schools of today. Their textbooks define a human being as, “A biomedical machine controlled by genes”. Are Vitamin Supplements A Commercial Con? At the start of the twentieth century among the industrialised nations, the life expectancy at birth ranged a mere 40 to 50 years. The top killers were infectious diseases such as tuberculosis and diarrhea, not heart attacks or cancer. People worked hard yet material goods were proportionately more costly to access. To earn enough for a bicycle took 260 hours of labour (7 hours today) while equivalent effort now would buy a car. Processed sugar consumption averaged 2.5 kilos, while we annually eat and drink a staggering 60 kilos worth. Have You Been Conned By A SOYBURBAN MYTH? Benefit from the lessons of history and international research. · The nation with the greatest longevity? · The differing lifespan of people within that nation? 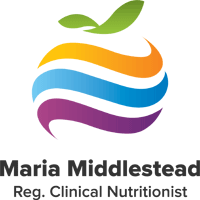 · Steady blood sugar regulation and easy weight management without restrictive, monotonous diets? · Lowered risk factors for cardiovascular disease, osteoporosis, sub-fertility, PMS, menopausal problems, breast, prostate and many other cancers? Avoid all saturated fats. This is not only foolish but close to impossible. However it is a handy way to disqualify those who issue such sweeping nonsense. Every one of your 50 trillion cell membranes needs enough saturated fat and cholesterol for a firm, protective surround and enough unsaturated fat for flexibility. It is the quality of your fats that is most critical and the proportion of one type of fat to another in relation to your body-type and symptoms.